There is no indication of scale, which, however, appears to be about 18-19 in. to the mile. 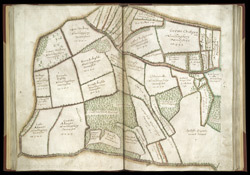 The maps are oriented with north-east at the top.